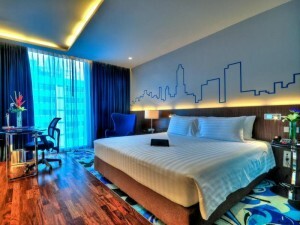 Galleria 10 Hotel is a stylish four star hotel on Sukhumvit Soi 10. The hotel is extremely modern and decorated using fashionable furniture, with murals and graphical drawings on the walls of hallways and rooms. 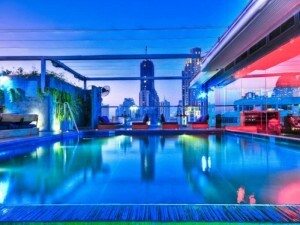 The rooftop swimming pool has great views of Bangkok and is a good place to relax with a beer or cocktail. Rooms all come with free Wi-Fi, have comfortable beds, office work areas and are kept very clean. One of the best four star hotels close to Nana BTS station.